Taking advantage of some recent cooler nights and an abundance of fresh blueberries, I decided to bake. I made two recipes from a collaboration of the Culinary Institute of America and the Harvard School of public health. The first recipe I experienced tasting at the Healthy Kitchens Healthy Lives Conference last February. It is full of goodness...soluble fiber in the chickpeas for cholesterol lowering, and healthy fats in the oil. Find the recipe along with a video tutorial here. I didn't even follow the directions exactly and mine turned out great. I forgot to beat the egg whites separately and then add them at the end. I just made sure to mix the ingredients thoroughly in the food processor. Next time I will take the extra step and beat the egg whites and fold them into the batter. The purpose of that step is to make the muffin lighter. Puree the chickpeas, oil, juices and zests, egg yolks until smooth. Add sifted ingredients (flour, baking powder, salt, cardamom) to the chickpeas, stir. Then add ground almonds. Next, you are supposed to whisk the egg whites until they form soft peaks and fold into the batter. (I forgot that part, oops!) 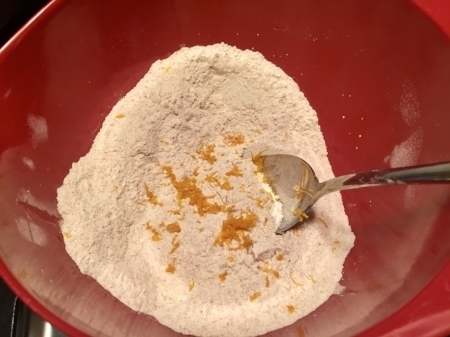 scoop batter into muffin papers and top with additional sugar, ground almonds and cardamom. Bake at 325 degrees for 12-13 minutes or until toothpick comes out clean. Mine took longer, and I am wondering if this was written for a convection oven. 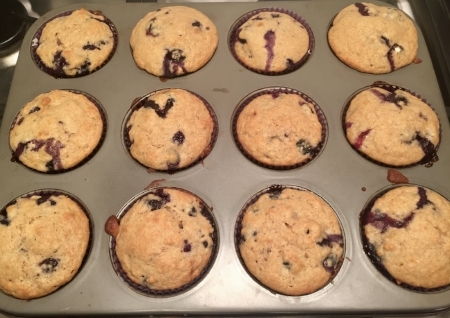 A fun and abundant blueberry picking adventure provided the opportunity to make a healthier blueberry muffin. 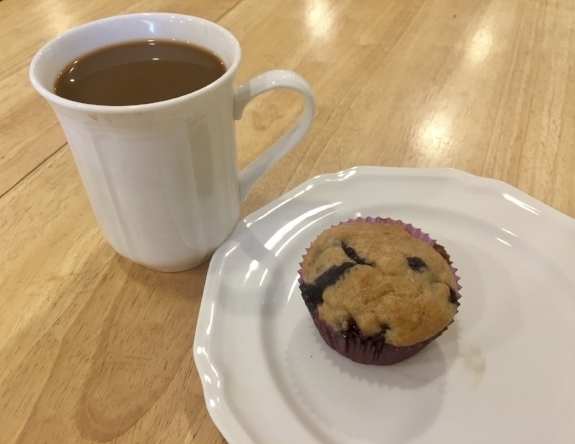 These muffins are just the right size, not the super large, all white flour, high sugar versions you find in the bakery section of the supermarket or big box stores. This recipe from the Culinary Institute of America uses whole wheat flour, almond flour and less sugar than a traditional bakery style muffin, resulting in an overall lower sugar and a higher fiber content. I did not have whole wheat "pastry flour" but instead used whole wheat flour and my tasty treat turned out just fine. 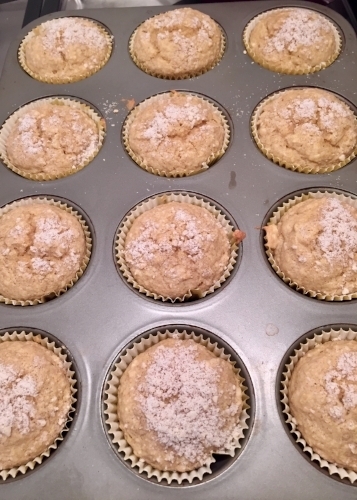 Since this recipe makes about 18 regular sized muffins, I had leftover batter after I made the traditional 12, so I made some mini muffins as well. If you are looking for a smaller treat, these are a nice couple bites. Mix dry ingredients first, then add the blueberries to the dry mixture to help coat the berries with flour so they do not sink to the bottom of the batter. 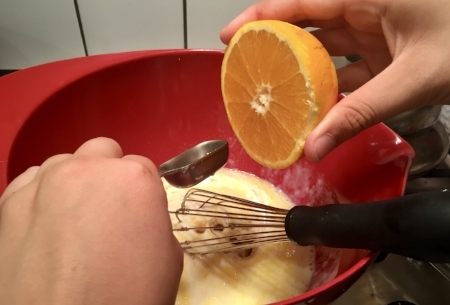 In a separate bowl, whisk the eggs first and then add the liquid ingredients and sugar. Add the liquid mixture to the dry ingredients and berries but do not overmix. Bake in a 400 degree oven for about 15 minutes. ** Blog content may not be applicable to your condition. Please discuss individual nutritional needs with Brenda during scheduled visits. Newer PostHappy Fourth of July! Older PostThe most wonderful time of the year! 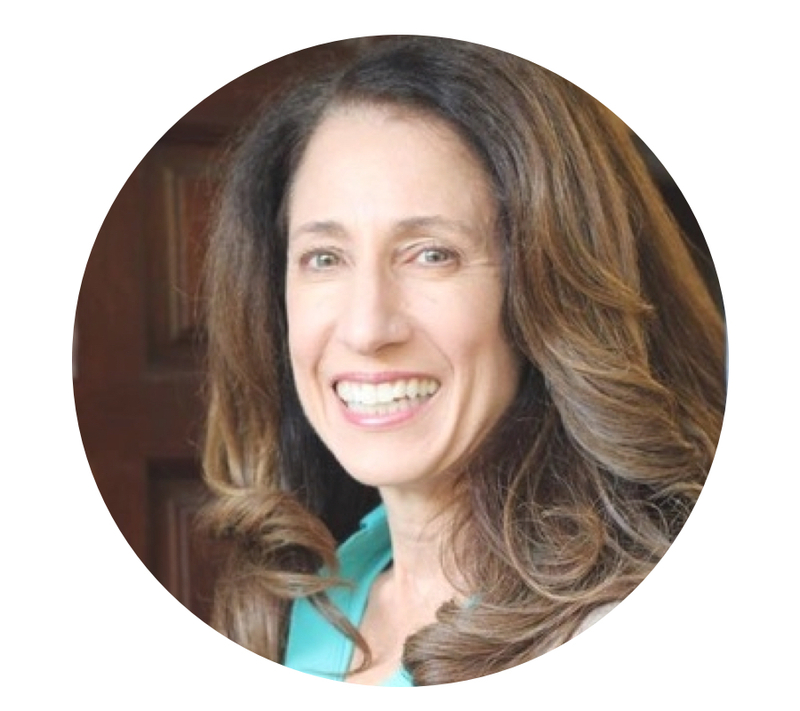 I'm Brenda, a Registered Dietitian & Diabetes Specialist guiding individuals to better health. NO FAD DIETS, NO GIMMICKS.